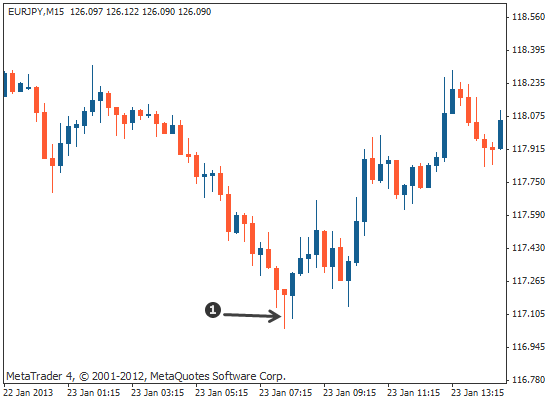 Single candlestick patterns are what the name suggests: Japanese candlestick formations composed of just one candlestick. 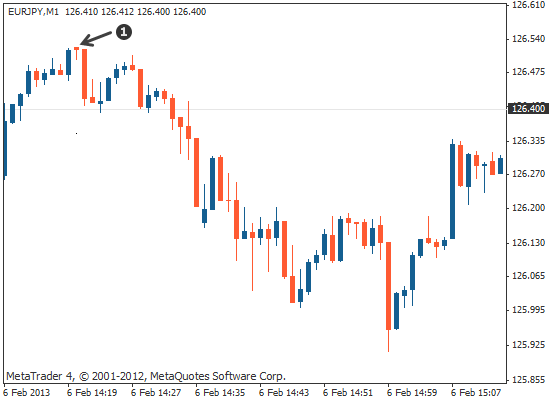 Single candlestick patterns are Japanese candlestick formations composed of just one candlestick. They can help you predict price reversals. 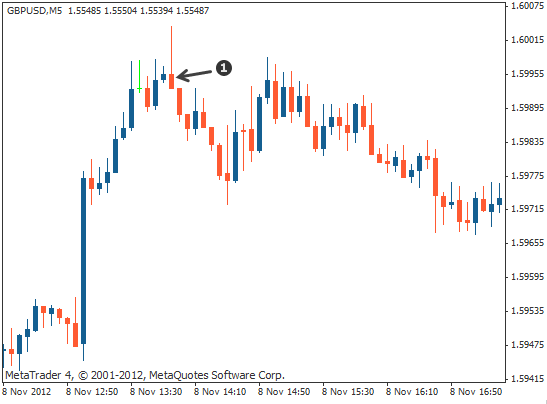 Single candlesticks help you predict when prices may be about to reverse or continue, depending on what the pattern is. The Yo Sen and the In Sen candlestick patterns consist of a full body and short or non-existent wicks. The bullish Yo Sen is an upward candle with a full body and very short or non-existent wicks. The bearish In Sen is a downward candle with a full body and very short or non-existent wicks. The bearish In Sen candlestick appears as a single downward candle with a full body and very short or non-existent wicks. It signals a selling opportunity. 1 Bearish In Sen candlestick. The Hammer and the Hanging Man candlesticks are exactly the same in appearance but occur in different conditions and give different signals. Both appear as a candle with a small body at the top and a wick at the bottom that is two or three times longer than the body. There is no wick above the body. The colour of the body is not important. The hammer and Hanging Man both appear as a candle with a small body at the top and a much longer lower wick and both predict price reversals. 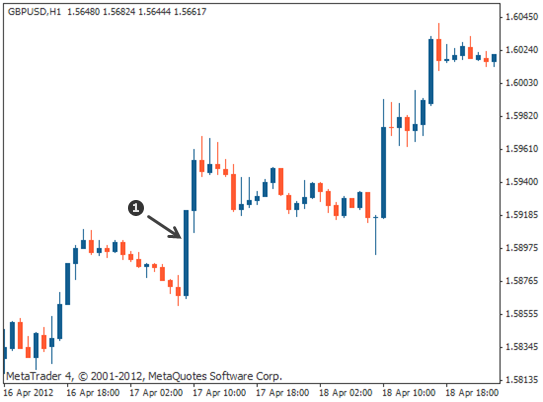 The bullish Hammer however appears during falling markets and the bearish Hanging Man appears during rising markets. The Inverted Hammer and the Shooting Star candlesticks also look exactly the same as each other, but have very different meanings for traders. Both appear as a candle with a small body at the bottom and a wick at the top that is two or three times longer than the body. There is no wick below the body. The colour of the body is not important. 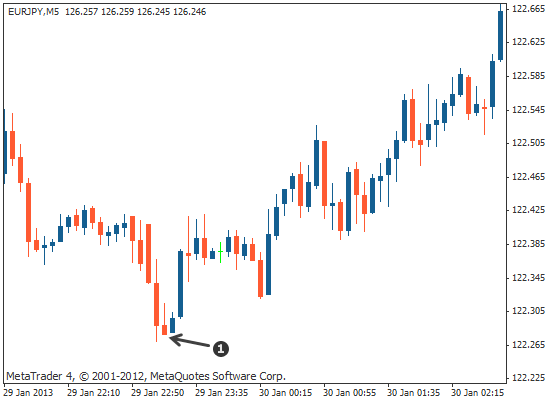 … single candlestick patterns are Japanese candlestick formations composed of just one candlestick. … they can be traded independently and come in three main types, each of which has a bullish and a bearish version. 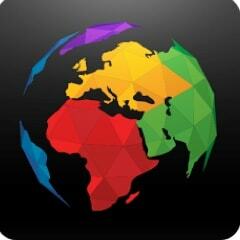 … they help you predict when prices may be about to reverse or continue. … the bullish Yo Sen appears as a single upward candle with a full body and very short or non-existent wicks. It signals a buying opportunity. … the bearish In Sen appears as a single downward candle with a full body and very short or non-existent wicks. It signals a selling opportunity. … the Hammer and Hanging Man both appear as a candle with a small body at the top and a wick at the bottom that is two or three times longer than the body and there is no wick above the body – they indicate reversals. A Hammer is found when prices are falling and a Hanging Man is found when prices are rising. … the Inverted Hammer and Shooting Star both appear as a candle with a small body at the bottom and a wick at the top that is two or three times longer than the body. There is no wick below the body. 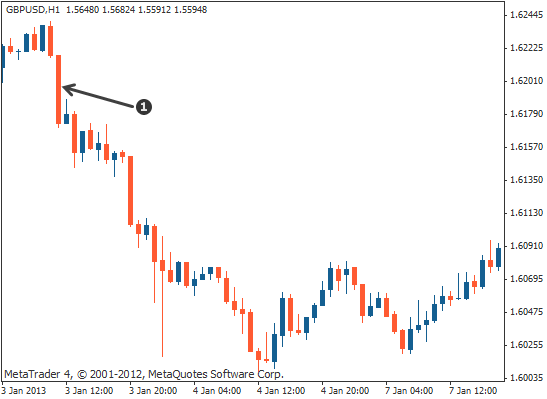 An Inverted Hammer is found when prices are falling and a Shooting Star is found when prices are rising.